Few experiences are quite as humbling as standing on the edge of the Grand Canyon and looking out over the numerous colorful peaks and gorges. My husband Dale and I had such a pleasure last November. From mountainous to desert basin. 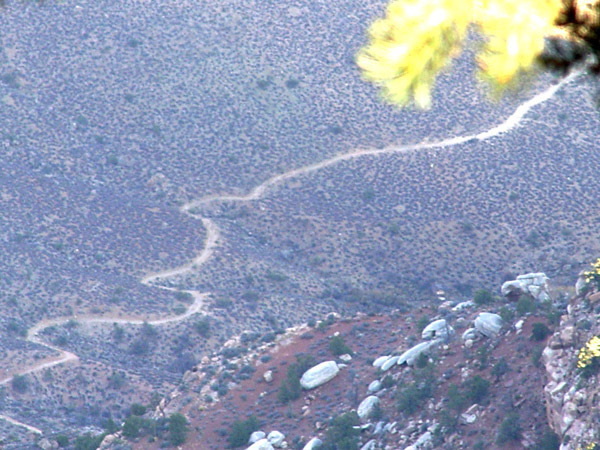 A journey to the Canyon by paved roads offers timely access and a smooth drive. 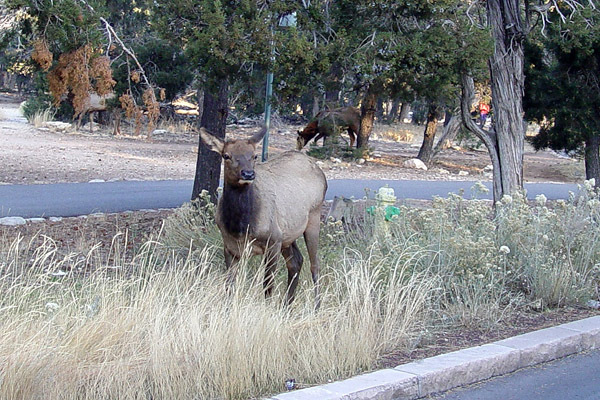 Families encounter few roadway obstacles in driving around the Grand Canyon National Park and scenic look-outs, except for a few fairly tame elk who gladly pose for a tourist's camera. U.S. 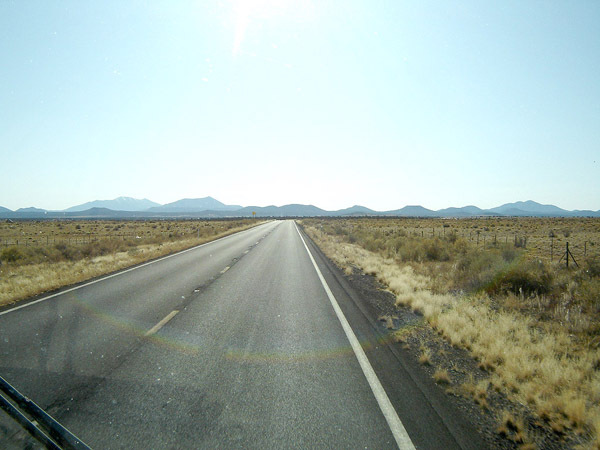 Routes 180 and 64 from Flagstaff are a pleasant drive taking travelers from a tall pine mountainous region into a desert basin of low plants. But access to the Canyon has not always been so easy. 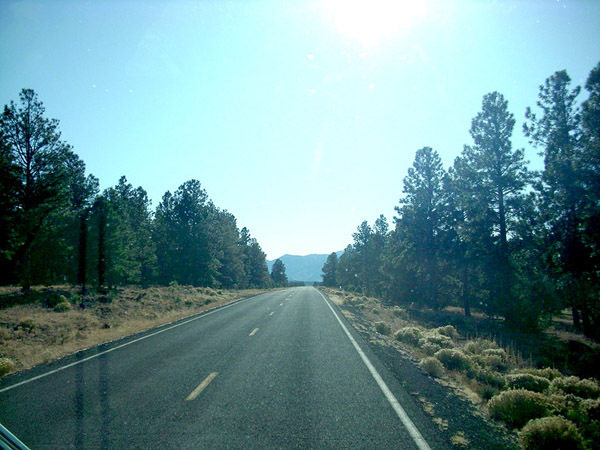 Route 180 leaving Flagstaff through the tall pines. The Canyon was "discovered" in 1540 by members of Francisco Coronado's scouting expedition, but nothing more was recorded about this geologic wonder until 1776 when two Spanish priests described the area as "profound." Early explorers tried to follow trails from the South Rim to the Colorado River for water only to be forced to turn back. The rugged terrain and exposure to the sun were great deterrents. A trapper named James O. Pattie and his father visited the Canyon in 1825, and in 1826 followed the Canyon for 13 days trying to reach the river. Not long after, the Government sent in exploration parties to assess the area and a railway survey came a few years after that. 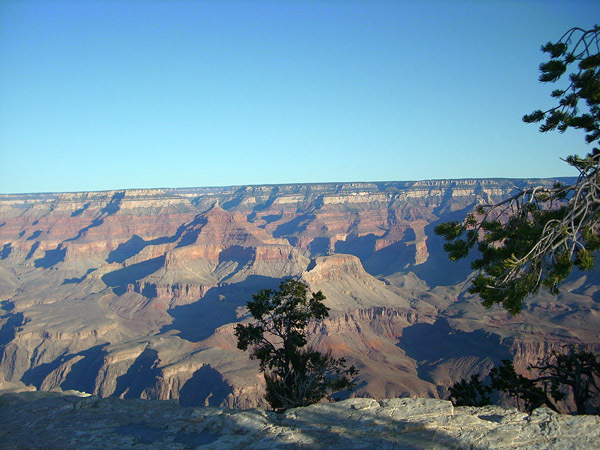 Nearly three centuries after its discovery, the Grand Canyon was now somewhat in the public eye. In 1852, the first steamboat, Uncle Sam was brought to the Colorado River and in the 1880's settlers put down roots along the rim of the Canyon to engage in mining. But the profits, they found, were in tourism, as more and more people began arriving by stage coach to see the spectacular Grand Canyon. A Grand Canyon trail seen from the South Rim. In addition to the comfortable drive we have today thanks to modern roads and regular highway maintenance, there is a way to go down into the bottom of the Grand Canyon that is akin to the early explorers and miners. Yes, I am talking about the famous mule rides. No, I am not that brave, but I am amazed at watching others as they descend toward the bottom of the Canyon. Slowly and with deliberate steps these sure footed animals provide a safe form of transportation. This way of travel provides us with a transportation experience very akin to the first visitors and residents of the area and truly takes us back in time long before the luxury of modern roads and modern transportation. This elk poses for our cameras while standing in the median at the South Rim.